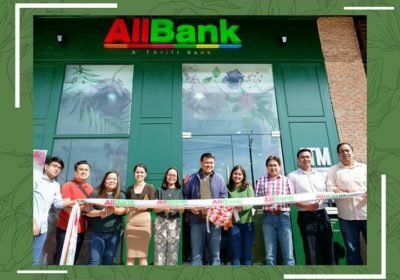 Open an ALLKIDS and ALLTEENS deposit account now! We know you do your best to earn a living for your family. We know as well that banks are necessary aspect of your life, which takes a toll on you, in terms of both time and effort. In effort to give you more of life, we aim to make the banking experience easier for you. Banking with us gives you access to specialized financing products that offer highly competitive rates for better returns, and banking branches and teller machines near your home. 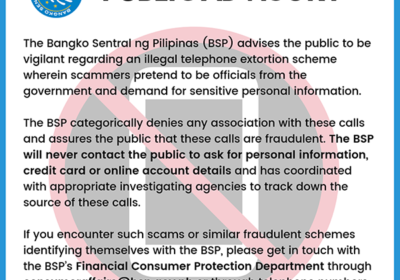 Banking with us also makes lines easier to deal with out top notch customer service innovations. But beyond anything, banking with us makes you feel at ease. At AllBank, you can work hard, live well, and bank easy. Our products were designed to make you feel secure and at ease. 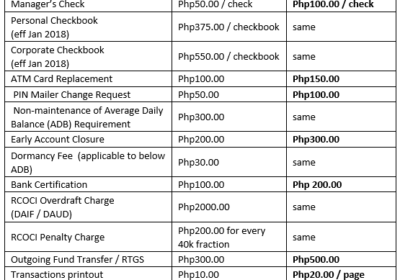 Choose from our deposit products which were created to make your life convenient and easy. Check out our Loan products that helps grow businesses with ease. Suitable for Corporate or Individuals. 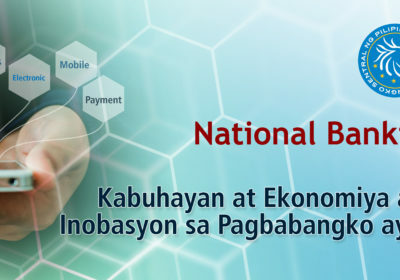 Explore other products and services that has been designed to make your banking experience easier. 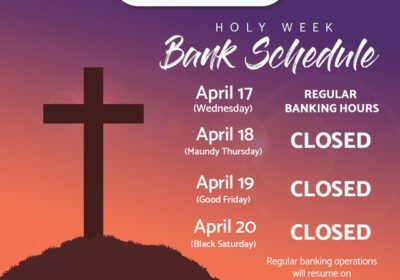 To our dear clients, please be advised with the following bank schedule in observance of Holy Week 2019. 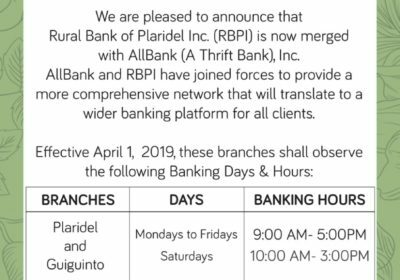 Regular banking services will resume on Monday, April 22, 2019. 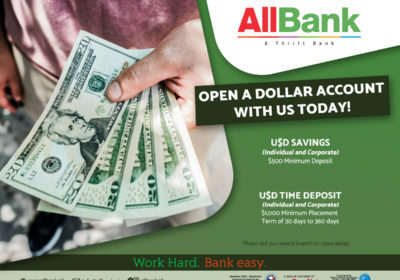 Open A Dollar Account With Us today!